One hundred days since Typhoon Yolanda claimed thousands of lives and left millions physically and economically displaced, survivors and the rest of the affected populations still plead for food and rehabilitation assistance. (Magdawat, Western Samar) -- In Hinabangan and Pinabacdao towns of Western Samar, SOS documented survivors’ testimonies regarding the absence of government aid amid billions worth of local and international donations. The Foreign Aid Transparency Hub (FAITH) website of the Philippine government lists cash and non-cash pledges from the international community alone has reached P24,842,729,246.68 (USD 551,913,473.00). Ironically, not a single relief pack or any form of aid from the government has reached far flung Yolanda-affected communities. Tatay Angel, 44 years old and a resident of Brgy. 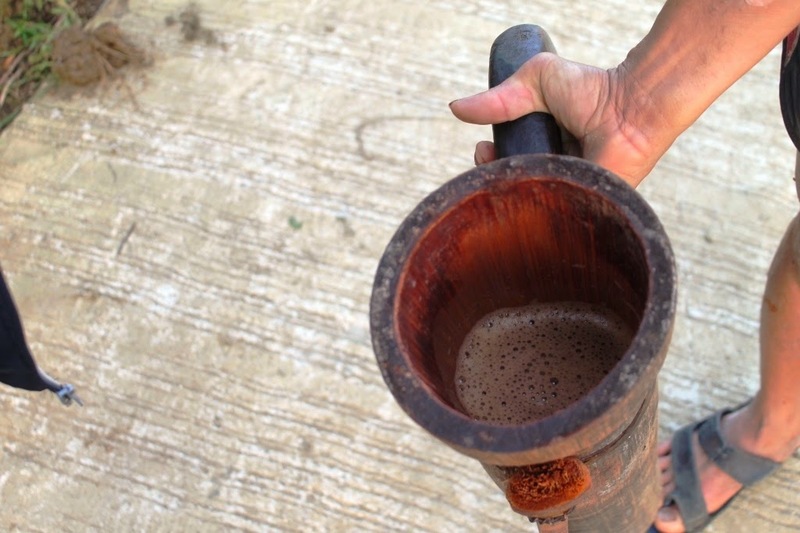 Kanano, Hinabangan, used to collect tuba or coconut wine every morning and sell these to feed his family of five. His rough and cracked palm bore the story of years cultivating the land to plant root crops and banana to augment their income. Tatay Angel points to the spot under their house where he and his family took cover as Typhoon Yolanda lashed her wind and rain. “Life was tough even before Typhoon Yolanda came”, he said. Things got worse after the November 8 typhoon, coconut trees, the main source of livelihood, were nipped and uprooted. More than three months have passed and government plans for rehabilitation remains to be had in this upland village. Hinabangan is a fourth class municipality of Western Samar and has a population of 12,651 based on the 2010 census. Grasping for the most appropriate adjectives, Tatay Angel exclaimed “bulok ang gubyerno” (the government is rotten) as a reaction to the absence of government aid to the upland villages of Canano, Yabon, Dalosdoson, Lim-ao, and Cabalagnan in Hinabangan town, Western Samar. All they received he said, was a P300 financial aid from the barangay calamity fund. “We were a bit luckier than the other barangays because they did not receive anything from the government,” he added. Like Tatay Angel, the men of Hinabangan can barely fill their bamboo containers with "tuba" since Yolanda damaged majority of the coconut trees. It will take two years for the trees to recover. “I find it outrageous that President Aquino called for a stop to the relief efforts being given when in truth, we haven’t seen a single relief pack from the government since Yolanda. Nothing! No government agency or official even bothered to assess the damage in our villages. Aid is just given in villages near the highway,” he lamented. Meanwhile, Nanay Susana, 46 years old, a resident of Barangay Dalosdoson could not hold back her tears as she recalled the hardships her family is going through after Yolanda. “We can barely eat three times a day. Nights pass by without anything in our stomachs. My children often experience stomachache because they do not have enough to eat,” she said in between sobs. She also pointed to anxiety due to their poverty and uncertain future as the source of her insomnia and lack of appetite. Like Tatay Angel, Nanay Susana plants vegetables and root crops to eke a living. As with everyone else in their village and nearby barangays, Yolanda felled all valuable crops such as banana, sayote, okra, “panakot”, and ginger as she lashed her wind and poured rain. The farmers hoped to harvest around the time the typhoon struck but now face several months of starvation because they had nothing to harvest and no more seeds to plant. In Brgy. Yabon also in Hinabangan, Nanay Casiana, 78, used to make P50 to P100 a week selling crops she harvests from her uma (slash and burn method or swidden farming). Despite her old age and frail body, Abadiano says she had to sustain herself and help her children and grandchildren. Now, she had nothing. She too, said no relief efforts or any help from the government ever reached their place. 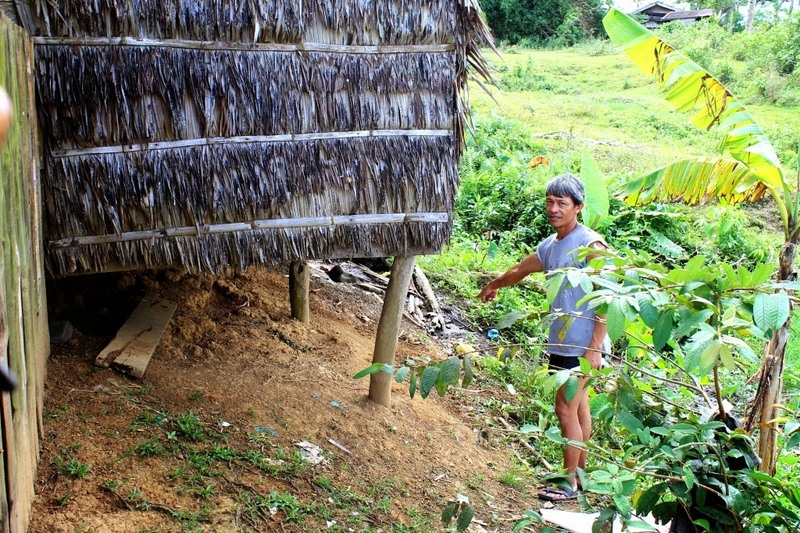 Like Hinabangan, the upland villages of Pinabacdao municipality are also living proof of government neglect. 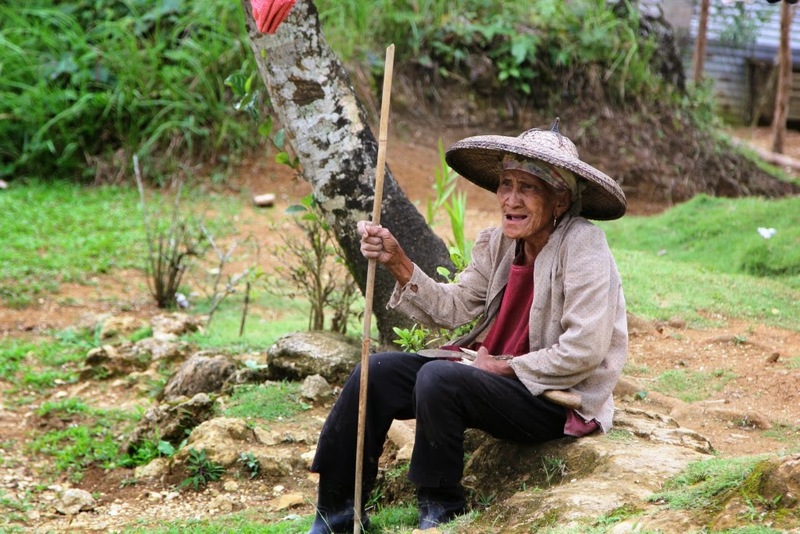 The effects of Typhoon Yolanda was twice over for this elderly woman from Brgy. Magdawat, Pinabacdao. In Barangay Magdawat, Pinabacdao, 69 year old Tatay Pablo felt the effects of typhoon Yolanda were worst for the elderly population like him. His modest “plantation” of 50 bananas, together with his balanghoy and kamote were destroyed by Yolanda’s strong winds and rain. Magdawat farmers like him sell their produce once a week in Parasanon, Pinabacdao -- an hour and a half walk away on muddy trek. Because of the distance and road condition, the most Tatay Pablo could carry on his alat or the traditional carry-on basket was 5 bulig or 5 clusters. There, their crops are bought at dirt low prices. Each bulig was bought by middlemen at P50 to P100 depending on the size. Gabi (taro) and karlang (a starchy root crop) are bought at P10 and P8 per kilo respectively. The produce is sold in Catbalogan and Tacloban City at twice or thrice the farm gate price. With their crops gone, the farmers face starvation in the coming months if no immediate relief and rehabilitation aid will come their way. “Elderly people like us do not have the strength to plant as much crops anymore. I can’t clear a slope that’s wide enough to grow plenty of crops because I’m weak and sick. I appeal to the government to help us. We don’t have doctors and medicines and have nothing to eat. Please help us President [Aquino],” Tatay Pablo said.